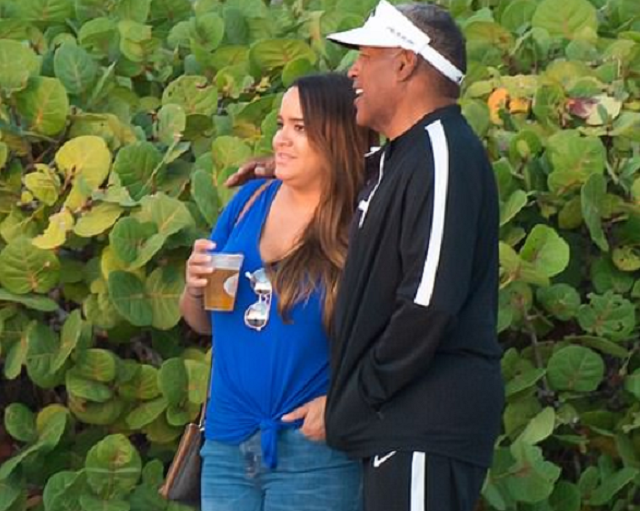 American-born Sydney Brooke Simpson is a caterer and real estate investor better known as the daughter of former National Football League player, Orenthal James “O.J.” Simpson aka, The Juice. Starting from her early days, she had a normal life which was lived away from the public eye until the murder of her mother in 1994 and the following court trial which involved her dad as the prime suspect. Her childhood was totally ruined by the public outrage which trailed the killing of her mother and as the long and distressing trial of her father, who was accused of the murder, went on, Sydney became a known face in the media as she constantly witnessed her father’s trial in the years that followed. 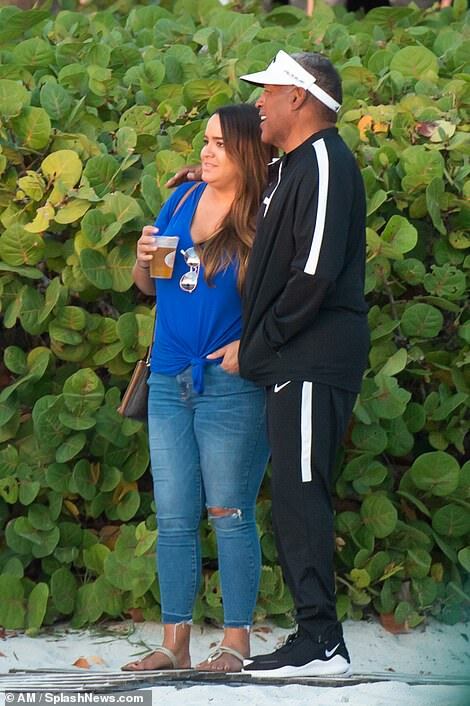 Sydney is one of O.J Simpson and Nicole Brown’s two children born on October 17, 1985. Her father is a former professional American football player turned actor and ex-convict while her mother was a waitress at the nightclub “The Daisy”. The American national has a brother named Justin Ryan Simpson, born in 1988 and three half-siblings – Jason Simpson, Aaren Simpson (who died by drowning in 1979), and Arnelle Simpson– from her father’s first marriage. The entrepreneur was a student at Gulliver Academy from where she moved on to study Sociology at Boston University’s College of Arts and Science. After she bagged her degree in 2010, Sydney lived in Atlanta for some years where she worked as an event coordinator at Canoe and also did other jobs. In 2014, she relocated to St Peterburg, Florida, and when she first got there, she worked as a caterer before subsequently establishing a real estate business of her own known as Simspy LLC. Sydney has done so well for herself that even the house she occupies in St. Petersburg belongs to her. She lives with her dogs and rarely makes any public appearances. Despite the negative vibes that were generated by the murder of her mother, Sydney Brooke Simpson was able to move past it and is really making something good out of her life. She earns a living from her real estate business and between 2015-2016, her company, Simpsy Properties LLC has bought four properties – an apartment at 1247 22nd Avenue South, a two-unit house at 379 47th Avenue South, one at 335 47th Avenue North, and another one situated at 334 48th Ave. North. In addition to that, Sydney also has her own restaurant which she runs alongside her younger brother. Her net worth at this time is however not known. Sydney’s father met her mom in 1977 at the nightclub in Beverly Hills where she worked. Despite the fact that his marriage to his first wife, Marguerite L. Whitley, was still on, O.J Simpson and Nicole Brown started dating. He eventually got married to Sydney’s mother six years after his divorce from his first wife and five years after he retired from the NFL on February 2, 1985. Four years later, the union began to crack as Nicole accused her husband of abuse and unable to continue, she filed for divorce on the basis of irreconcilable differences. Their marriage lasted for only seven years before Nicole’s February 25, 1992 suit for divorce was granted the same year. 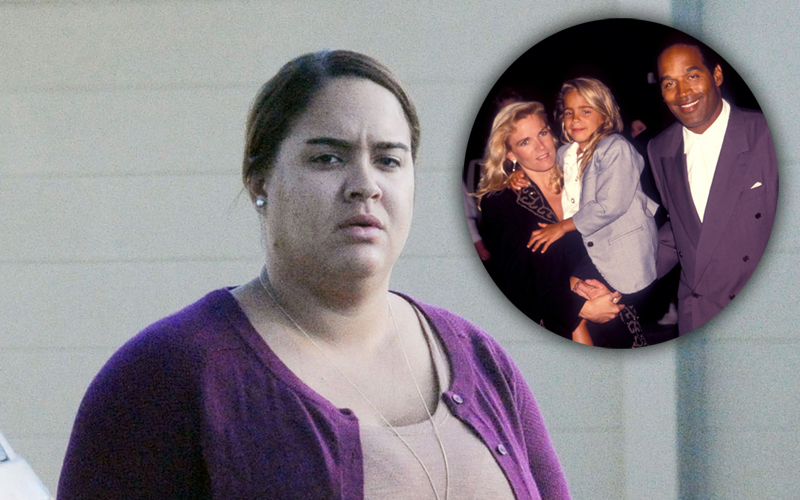 Though divorced, Sydney Brooke Simpson’s parents still made an effort to iron out their issues and eventually reconciled but the abuse never stopped. Consequently, their relationship ended finally in 1993 but Simpson was still bitter. June 12, 1994, is a date that Sydney’s family and many American citizens would never forget in a very long time. It was in the night and Sydney Brooke Simpson and her brother were sleeping upstairs not knowing that they would wake up and never see their mother again as she and her friend, Ron Goldman, were gruesomely murdered by stabbing that night. Lying in the pool of their blood just outside her condominium in the Brentwood neighbourhood of Los Angeles, California, Nicole and Goldman’s bodies were not discovered until 12:10 a.m, about two hours after they were killed. On the scene of the murder, one hand glove covered in blood was found by one of the police officers who found the dead bodies and when they went to O.J Simpson’s house to inform him of his ex-wife’s death, a second glove was found in his premises, also covered in blood and it matched the first. After blood samples from both gloves went through a DNA test, it was determined that the samples came from the two victims. As a result of this, O.J Simpson became a prime suspect in the case and court proceedings began. He was declared “not guilty” of the murders on the 3rd of October 1995. However, following the mass dissatisfaction with the judgement, especially among white Americans, the family of Ron Goldman filed a civil lawsuit against O.J Simpson and this time, he was found liable for both victim’s wrongful death and battery. He was then ordered to pay damages in the tune of $33,500,000. It would be very understandable if Sydney decided to sever all ties with her father for allegedly taking her mom away from her at a very young age. Following the death of her mother, she was never seen with her father in public until in 2018 when they were seen spending Thanksgiving on a Florida beach alongside her brother, Justin. They ate at a waterfront seafood bar and grill in Tierra Verde, outside St Petersburg, looking very cool with each other. There were reports in 2017 that Sydney Brooke Simpson was dating Robert Blackmon, an ex-con and politician who vied for a city council seat in St. Petersburg in September 2017 and lost. However, Robert later denied that they were dating, saying she was just a good friend of his. Before this time, Sydney was said to be involved with Stuart Alexander Lee from 2007 to 2012 even though they were never seen together.